I love the motivational link-up party that is the Finish Along. In Q1 this year, I listed 20 projects, knowing I would not finish them all. 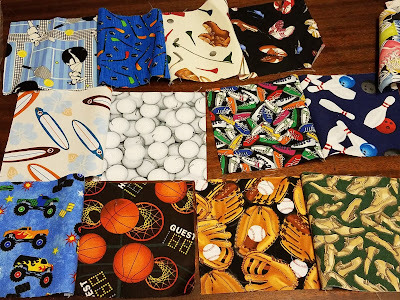 And I didn't, but I completed 10 projects! I don't expect to finish that many this quarter, but that won't stop me from another long list! 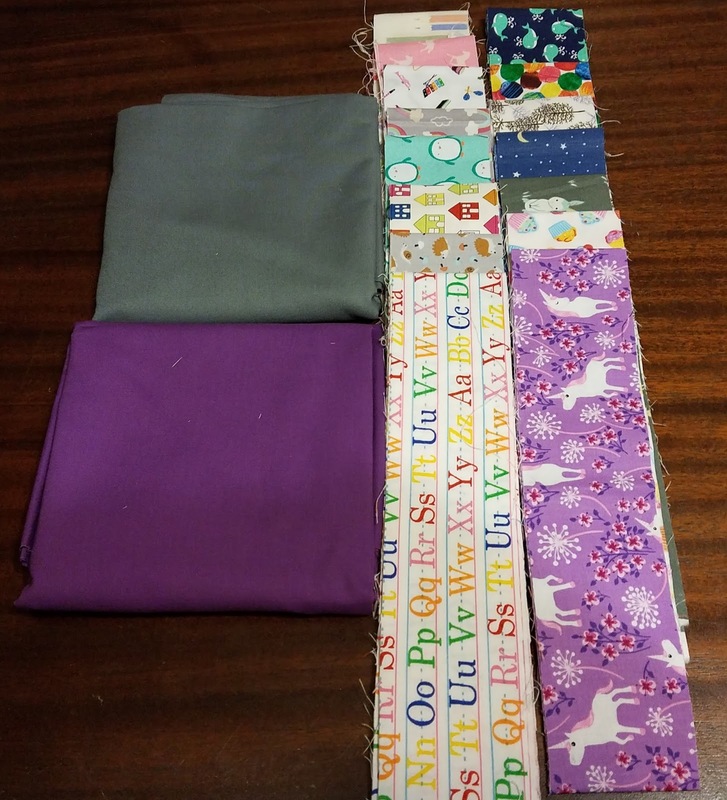 When my brother & his family were visiting in December, I showed them Munchkin's growth chart and asked if they wanted one for my niece, Noodle. The answer was an enthusiastic yes! 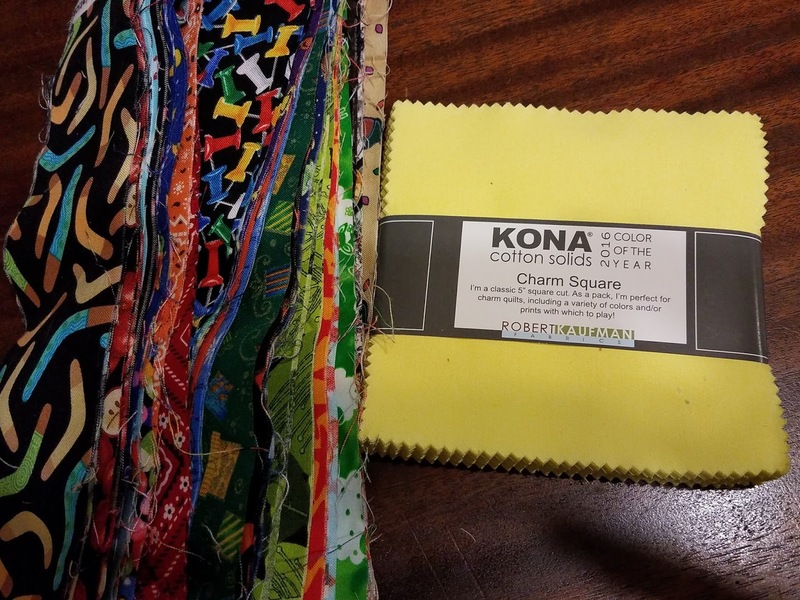 I gave my sister-in-law my stack of I Spy 2 1/2 strips as well as some yardage that I could cut a strip from and let her pick out what she wanted, and she picked out solids from my Kona color card. These doll bunk beds were mine when I was young! 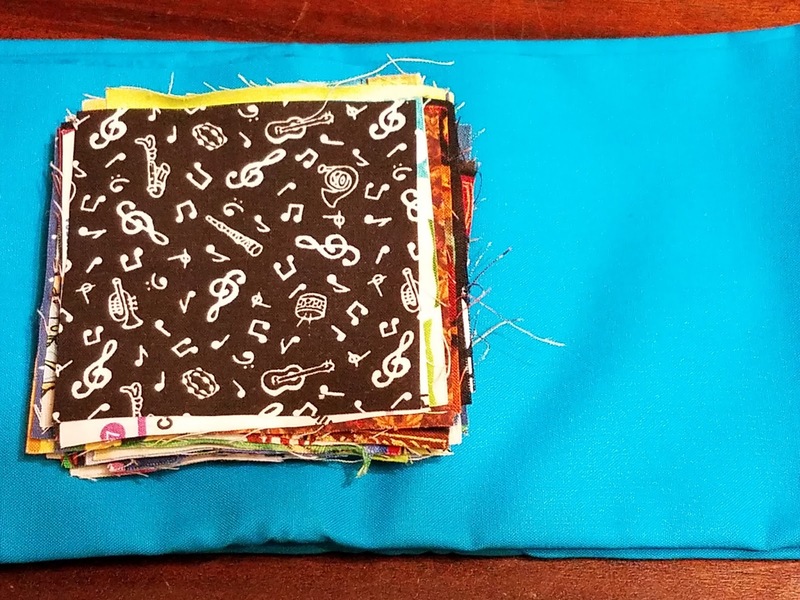 This was a mystery quilt that started in January 2016. I kept up well with the first half of the mystery but not the second. I am determined to finish this one. 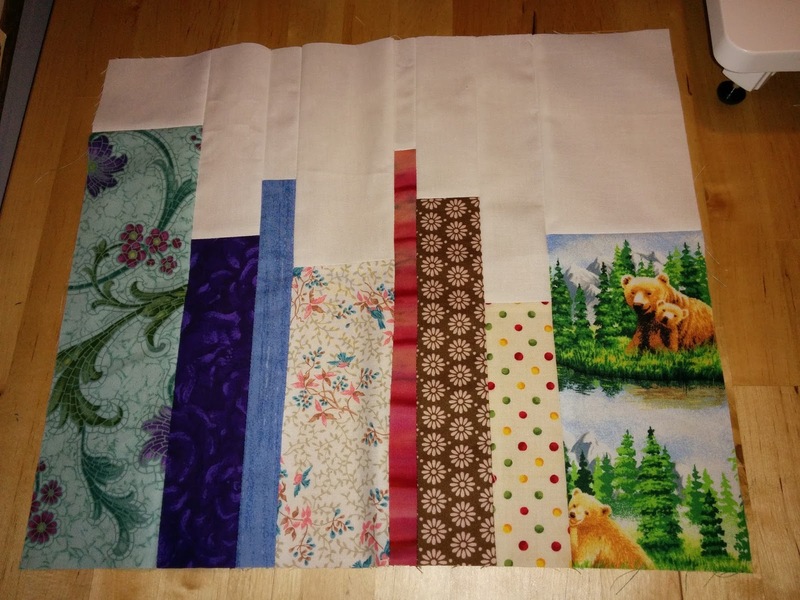 I asked for bookshelf blocks from my 2016 Stash Bee Hive last fall and I need assemble them into a finished quilt. I also need to assemble my blocks from Stash Bee 2017--I'm making a magical forest! 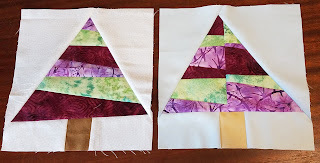 This might be the project that never ends! 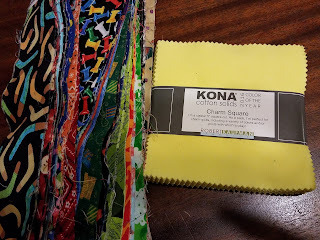 My hand sewing batik hexie project is progressing slowly. 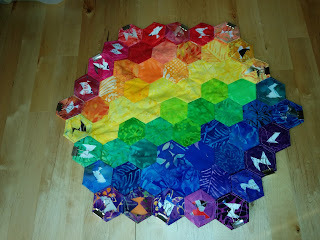 I'm sort of making up the finishing process as I go along, as I haven't found a tutorial for finishing hexies that completely works for me. 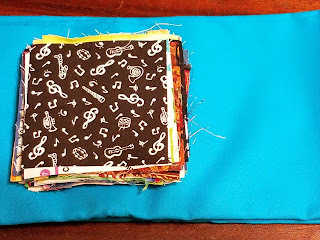 I just finished sewing the back to the front. 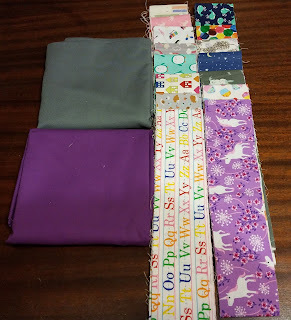 I am now ready to layer and quilt. 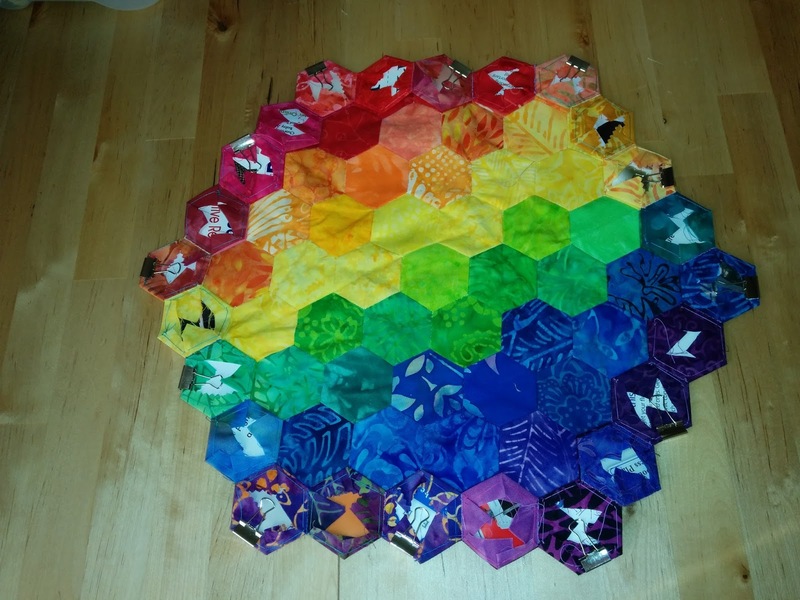 I have one block from the Rainbow Scrap Challenge butterflies that did not make it into a quilt top. This will become a mini for the wall of minis in my office. 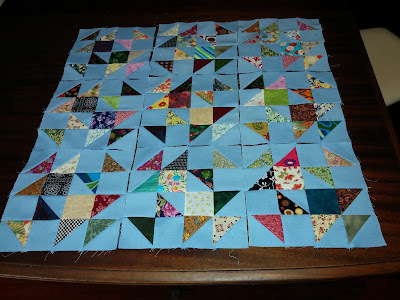 It has been quilted and just needs binding. 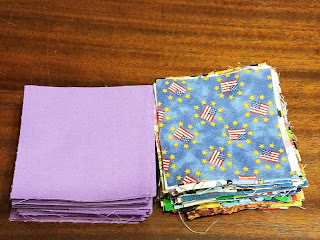 I have been cutting out quilts and making them into kits to take to Project Linus. I took this one to March's meeting and it is now pieced, just needs to be layered, quilted, & bound. I Spy scraps with purple as the alternating fabric. Someone donated this fabulous pink poodle fabric to my local Project Linus chapter. 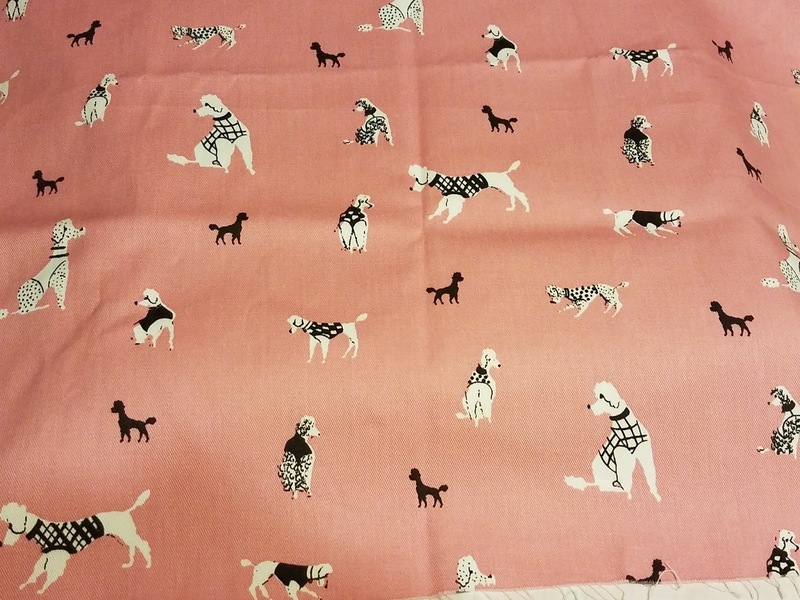 I'm going to keep it as a whole cloth quilt and use it as FMQ practice. Since I had such luck with a list of 20 last quarter, I decided to stick with the magic number! I doubt I'll finish 10 again this quarter, but I can hope! That is an ambitious list, but hey one never knows! And this will also give you a bigger choice of ones that you really want to work on-wishing you luck! Well done with finishing half your Q1 list!!! Good luck with all these lovely projects Emily. I think having a large list is a good thing. It gives you lots of variety to choose from. I have complete faith that you can tackle 10 more times over the next 3 months. Can't wait to see what all you finish.